Installation of fluorescent lamp circuits, we can see that most of the foot fluorescent lamp mounted in series with the ballast and partly installed pareral the starter. Preventing the occurrence of an increased flow of sparks that exceeds a certain limit for each lamp size. Besides ballast serves to reduce the influence of the changes that interfere with the movement of light (stroboscopic) and reduce the loss side (auxiliary losses). 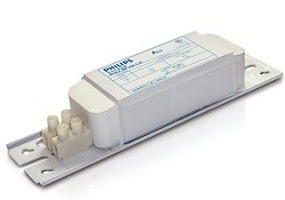 Therefore, each fluorescent lamp ballast has always had a planned to power, voltage, and frequency are adjusted to the light TLnya respectively. Starter on a fluorescent lamp consists of a small glass balloon filled with noble gases. Inside the bubble there are two metal electrodes as dual filament. 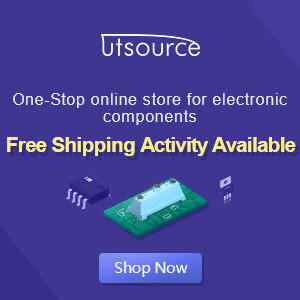 The distance between the two electrodes are arranged with a certain distance so that the starter will turn on voltage of 100-200 V. Starter switch serves as the delay time (time delay switch) are connected in parallel with two-foot fluorescent lamp. When the fluorescent lamp is connected to the voltage of tissues, then in a short time starter filament is connected (on) and then decide again if the lamp has been lit with a stable NE. At the time of the filament is connected, a large current will flow through the ballast from the power grid, then to the lamp electrodes, wire electrodes and the other starter, for subsequent return to the network. The existence of these currents will make the incandescent lamp electrodes and removing electrons. Meanwhile, the voltage at the starter has been lost, so that the starter went out and become cool. Both dual metal electrodes in the starter going straight back and decided that the current is flowing. Because of the sudden termination of this, the ballast will be raised an electromotive force is quite high. Shock voltage is in series with line voltage. When raised at the right time, the voltage at the two filament lamps TL will be high enough to ignite the filament-provided tube filaments are hot enough. 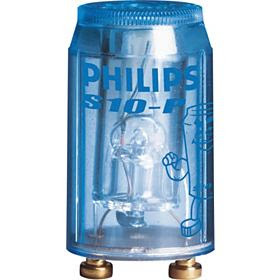 In the first cycle of the tube is not already on the events as described above will be repeated, until the tube lights up. After the fluorescent lamp is lit, the starter will be parallel with the lamp. Therefore, the voltage on the lamp voltage is lower than the starter, the starter will remain extinguished. To reduce the spark at the spark electrode bi-metal can be mounted a small capacitor in parallel with the starter. Installation of condenser is also able to improve the termination of the current in the starter and reduce radio interference.